If there was an imaginary invention that you could wish up tomorrow, what would it be? How about an automatic cook, or an essay writer? Or how about something that replaces your dentist? There’s no doubt that dentistry has changed remarkably in a short space of time. Go back barely half a century and dentists were using peddle-powered drills. Today there is spaceship like dental implant systems, lasers, and 3d imaging technology. Dentistry really has met the technology age. Today we live in an age of innovation. Entire industries are turned on their head in a fraction of the time they have serviced large amounts of people. Take UBER for example. It completely revolutionized how we take taxis. However, it has had dramatic repercussions for the taxi industry which has contracted significantly. Dentists now use amazingly advanced systems to reconstruct the mouth. But are these systems about to become so advanced that they replace the dentist themselves? It's expected that 3D printing will change many industries and aspects of your future. Let's see how it relates to your future dental appointment. 3D printing is also known as additive manufacturing. It is designed to create or recreate a whole object. 3D printing itself has been around for a few decades now, and is already being used to make jewelry, football cleats designed for individual feet, racing-car parts, solid-state batteries, and customized mobile phones. The complexity of 3D printing is quite remarkable, with some researchers even managing to make a fully functional grandfather clock. As 3D printers are becoming increasingly capable of making final products in addition to parts, some estimates say that by 2020, 3D printing will replace 50 percent of the manufacturing industry. 3D printing offers an enormous opportunity for the healthcare industry. The creation of cost-effective high-quality instruments with precision is far more efficient than traditional manufacturing (that has far more waste). Today surgical equipment to joint replacements and even prosthetic hearts are being developed with 3D printing technology. The important thing to realize here is that every patient’s heart is slightly different. 3D printing is a platform to completely customize an accurate model of each patient’s heart, enabling the surgeon to adjust to the unique size and features of each patient’s heart. When using stents for congenital heart surgery, there is no one size fits all version. Stent size depends on the unique features of each lesion. In health care, this is particularly important because of the high cost of equipment. 3D printing may result in cheaper and more accessible lifesaving treatments. Dental treatment is a profession that is well-suited for 3D printing. And it’s not just because everyone dislikes the dentist. Dental surgery already implements 3D printing-like technology, and its use will almost certainly spread throughout other areas of the industry in the not so distant future. CAD/CAM (computer-aided design/computer-aided manufacturing) has been used by dentists for 20 years now. The 3D scanning and milling of dental restorations is similar to the principles of 3D printing. But despite being available for two decades, CAD/CAM is still relatively obscure. In the U.S., the world’s largest and most technically advanced dental market, only about 10 percent of dental surgeries have in-house CAD/CAM facilities. CAD/CAM allows dental surgeries to bypass traditional lab-made dental restorations. But the advantages of these processes are numerous, including the ability for you to get same-day crowns. If a dentist is going to use CAD/CAM, the practice can offer restorations like this that might otherwise take weeks. Fewer appointments and and less time for you at the dentist means less time to take off from work, saves time for your personal lives, and decreases anxiety about coming to the dental office multiple times. For people with busy professional and personal lives who break a tooth, the need to return to the dental office is saved. 3D printing has the potential to replace many dental treatments and processes. But there are certain fields of dentistry that hold the most potential for 3D printing replacement. Materials: The creation of biocompatible restorations that are strong, durable, and suit individual patient scenarios. This allows dentists to deliver better, faster, and more predictable patient treatments without a disruptive total cost of operation. Dental restorations: CAD/CAM can help produce dental crowns and other restorations, but 3D printing systems can expand this to other restorative options like dentures. Dental implants: Traditionally, dental implants are some of the highest cost dental treatments. 3D printing has applications in dental implantology, from the restoration itself to the tools used to perform it. Systems and instruments for dental implants are expensive, which raises the cost of dental implants. Cosmetic dentistry could, for example, see great advancements with 3D printing, given the potential to create full surgical systems that are customized for each patient, both cheaply and efficiently. The simplified and streamlined surgical procedures mean significant savings in the time and cost to the patient. Orthodontics: 3D printing has exciting application for clear aligner orthodontics. Models of the mouth can be used to create Invisilign-like systems that straighten teeth without the use of braces. Eventually, it might even be used for more basic procedures involving simple orthodontic cases. Once a diagnosis has been made and a treatment option has been chosen and accepted by the patient, 3D printing technology could deliver a solution without the need to see a dentist! Before long, current diagnostic and treatment planning processes may be replaced or augmented by 3D printing software. Certain dental procedures may be fully digitalized by 3D printing technology. 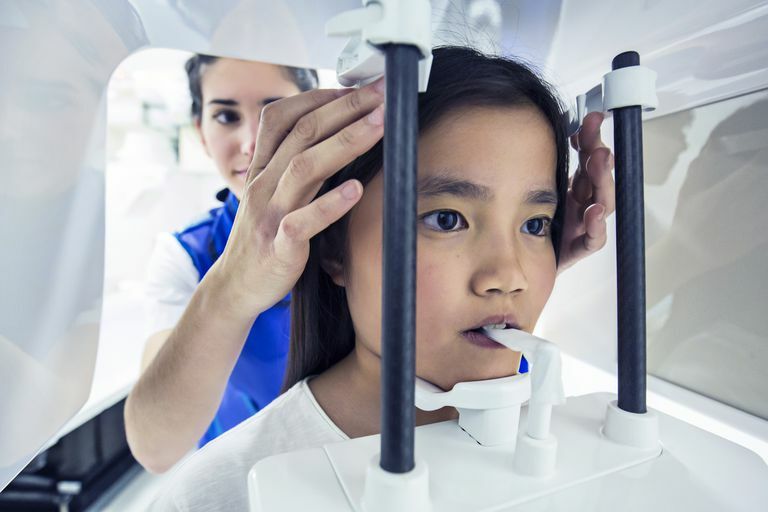 Scanning technology can act as a virtual ‘dental exam’ that allows a digital study model of the mouth. There’s no question that 3D printing will soon be widely available in health care. How exactly it will happen remains to be seen, but who knows—the next time you jump in an UBER and talk to your driver, they may turn out to be a former dentist who was put out of business by the 3D printing industry.